We could not do it without the great companies and establishments that support our club and local rugby. Check out our sponsors and see how you can help the groups that are helping us! If you are interested in finding out how you can support West Potomac Rugby or would like information about our sponsorship packages, please email us (westpotrugby gmail com) ! Whether you need an apartment, townhome, condo, or single family home, Rob can help with your housing. He has been assisting buyers, renters, and sellers as a full time agent for over 4 years. With a nice mix of business between rentals and sales, Rob truly can help anyone from first time buyers to seasoned investors. In selling your home, he specializes in start to finish renovation coordination getting properties on market in 2 weeks. West Potomac RFC players have used his services and got a great deal on their new home. 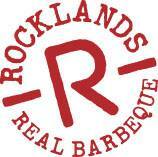 Rocklands BBQ has several locations in the DMV area, but you will usually find West Pot at the Arlington location after training sessions or catching a Caps game. Great food and a solid beer lineup – plus they are very active in their local community! Full service from quarry to site. We purchase only the highest quality marble, granite and limestone, from both domestic and foreign quarries. Then, we select qualified and reliable fabricators to quarry and fabricate materials that will ultimately be shipped to our project sites and installed by experienced stonemasons. To ensure quality craftsmanship and timely production, we conduct periodic inspections of the fabricator’s progress and quality. We are currently working to finalize with a beer sponsor – a brewer dedicated to high quality beers; the great outdoors; and, rugby.